Disclaimer: The article below is intended to bring a smile to your face. We aren’t against the movie just pointed out some funny and hilarious mistakes after keen observation. 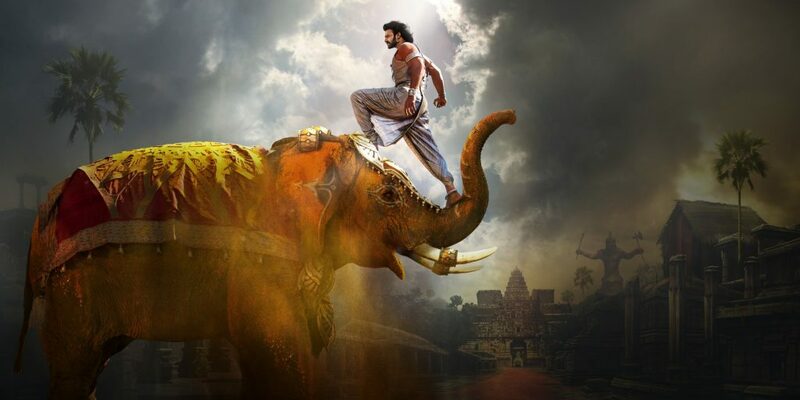 SS Rajamouli’s magnum opus project Baahubali- The Conclusion is rewriting and creating the box office collections records in India’s leading film industries Bollywood, Tollywood, Kollywood and Mollywood. Undoubtedly, Baahubali 2 is on a roll and it’s in no mood to slow down anytime soon and it is likely to create Rs 1500-cr club this week. Yes, Baahubali fever is at its peak and considering the speed with which it is going high and high, it doesn’t seem to end soon. 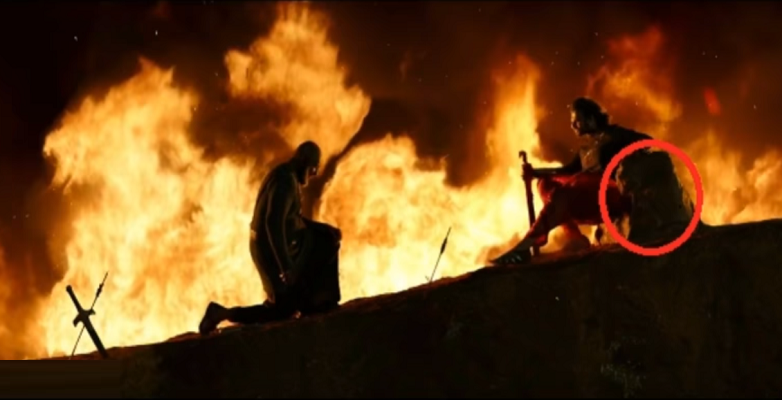 The entire nation is raving about SS Rajamouli’s creative mind and his perfect execution. This film has not just managed to break box office records but it has even won millions of hearts. The movie became the first Indian project to cross the Rs 1500 crore mark and about to reach 1750 crore with nothing less spectacular than the Hollywood masterpieces. The story, the cast and the crew, everyone did their best to crest the movie. Yes, every single character of this epic is being praised for their surreal performances and people are calling it as an epic drama that India has ever seen. Starting as a regional movie, this movie’s excellence has prevailed across the whole country, like a wildfire. Now, the sequel is on, and people got their answers for the intriguing questions like ‘Why Kattappa Killed Baahubali?’ (WKKB), it must be said that Rajamouli doubled the satisfaction of the people by getting hold of the curiosity. 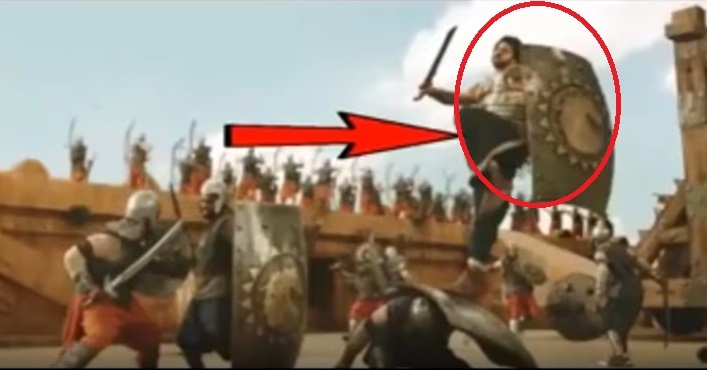 But, did you notice some silly and hilarious mistakes in the India’s most awaited movie “bahubali 2”? While everybody who has seen the film can’t quit praising it but still there are some cyber citizens who have dissected the Prabhas starrer and pointed out some funny mistakes. 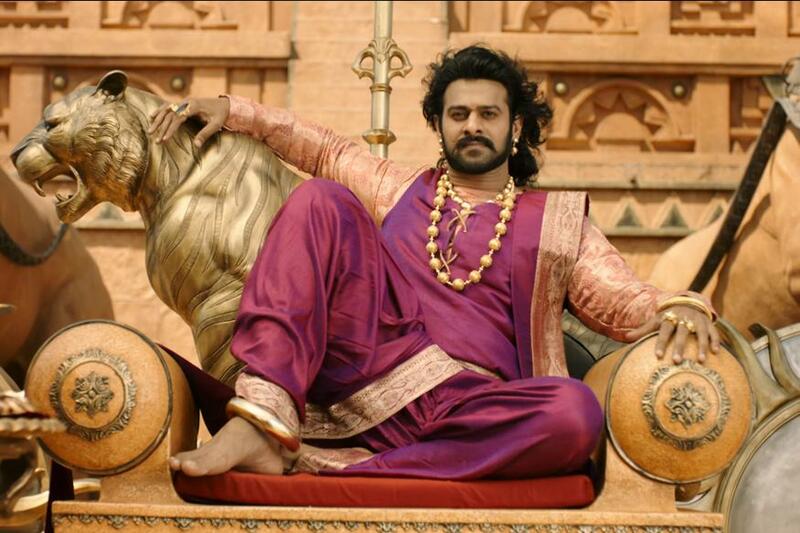 Yes, there are some mistakes in the ‘Baahubali 2 – The Conclusion’ which we are sure you didn’t notice. 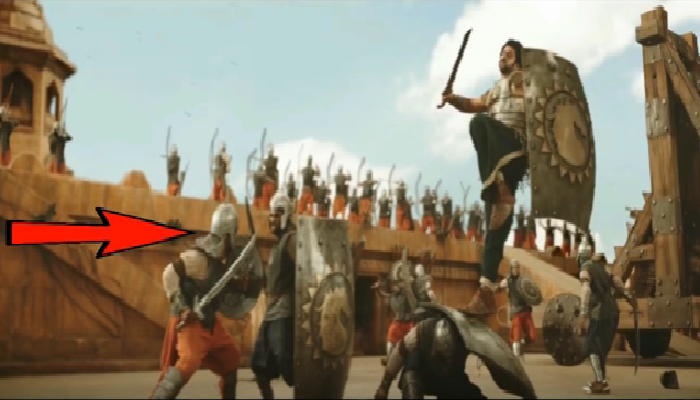 In the pre-climax fight, Baahubali and his team of fighters take the help of the shield and enter Maahishmati. Well, in the next sequence when the fight is going on one of the shields is seen clearly, but has no handle. We wonder how to they managed to catch the shield. How it Posible?? 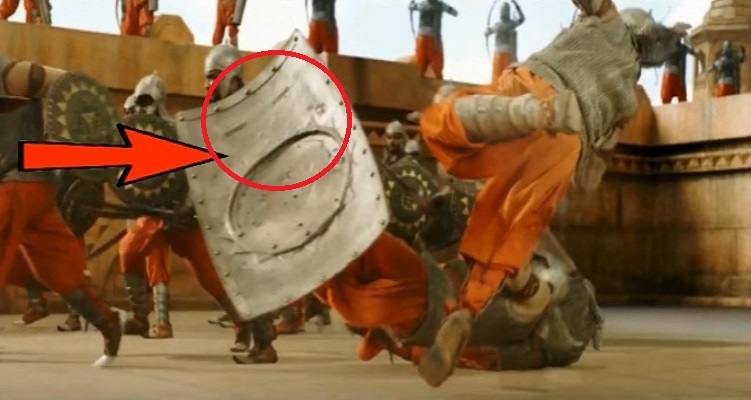 In other Seen of the film, Bhallala Deva hits on Baahubali’s shield and a big crack happens on the floor. Well, if you see it carefully before Bhallala Deva hits there’s already a small crack on the floor. Maybe a better camera angle could have helped the makers to avoid this blooper. It’s funny but still, makes sense! 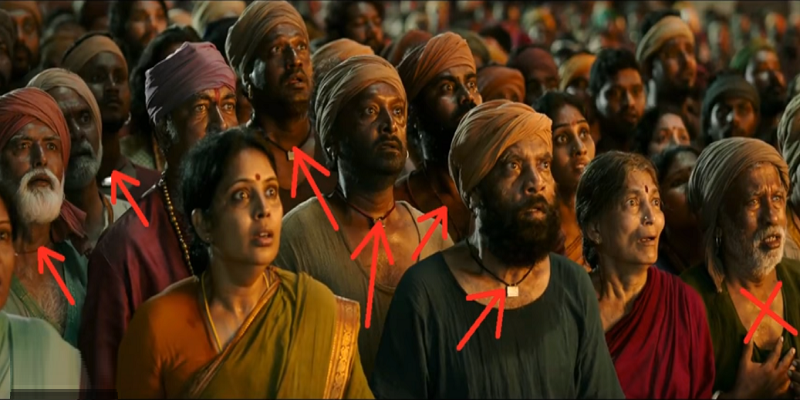 We find every one of Mahishmathi kingdom with black lockets on their necks in the film but this old man in the right corner doesn’t carry it. 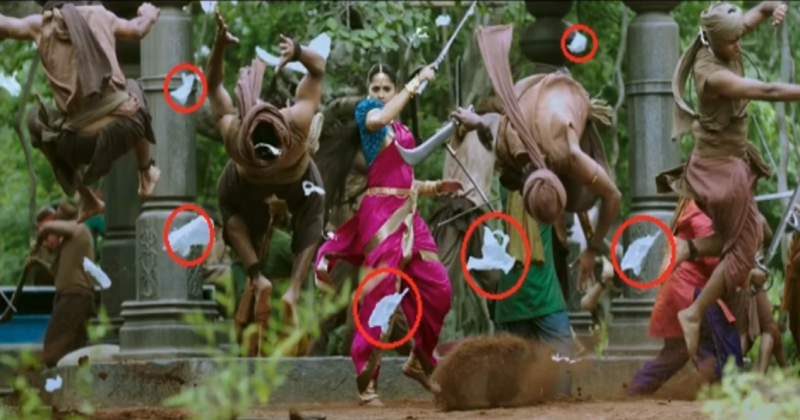 This is a scene where actress Anushka Shetty uses her sword to tear a cloth into 2 pieces but somehow, it is seen the cloth actually got torn up into multiple pieces. 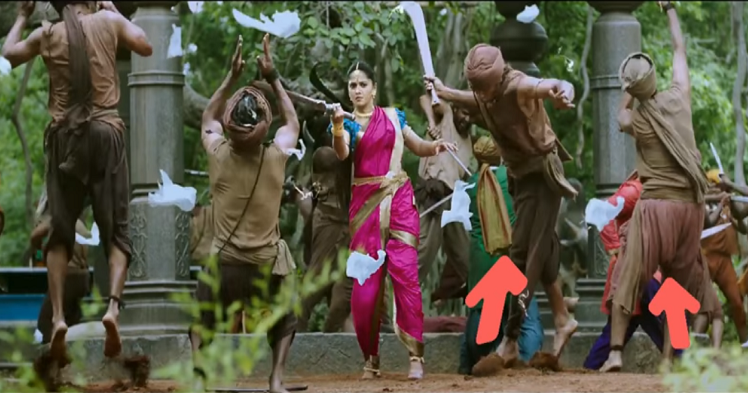 This is a hilarious mistake, Anushka has not even picked up her sword but before that, the man on the left has started jumping backward in fear. Mistiming. Even on the right, people made the same mistake they were seen overacting as if they are hit very hard even before the sword comes to them. 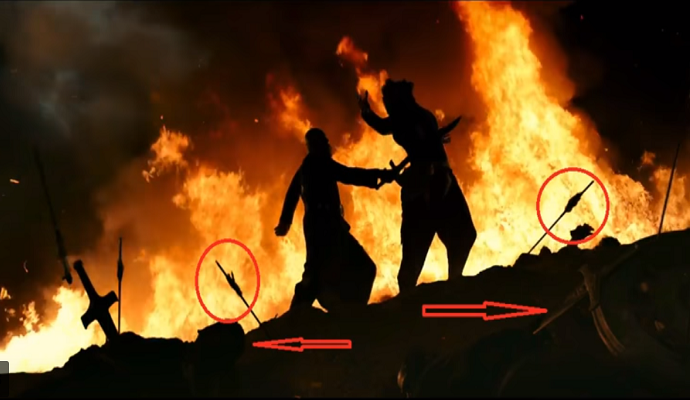 This is one of the famous scenes of the Baahubali 2 where Kattappa killed Baahubali but watch closely, there is no stone in front of Baahubali. Yet in the next scene, the stone appeared out of nowhere and for him to sit on it. Awesome works all around. But you probably did not check it that closely while watching it. This is going to take an hour for you to digest. 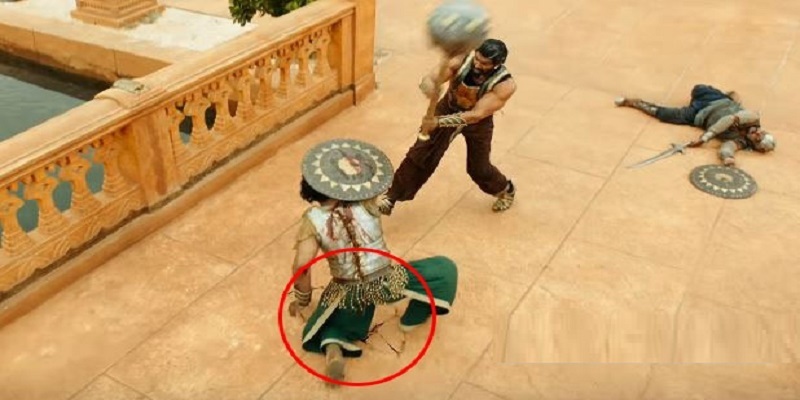 The warriors are fighting with each other and hence, you can safely say that one of them belonged to Baahubali. Yet, Baahubali comes flying and kill them both. What is stupid idiotic work is that? What is the need to jump on them when they are fighting it out? That is why some people kept their brains at home before going into the cinema hall. This is once again a “Miracle”, or probably a “Body of steel”; Let us suspend reality once again and watch this scene. 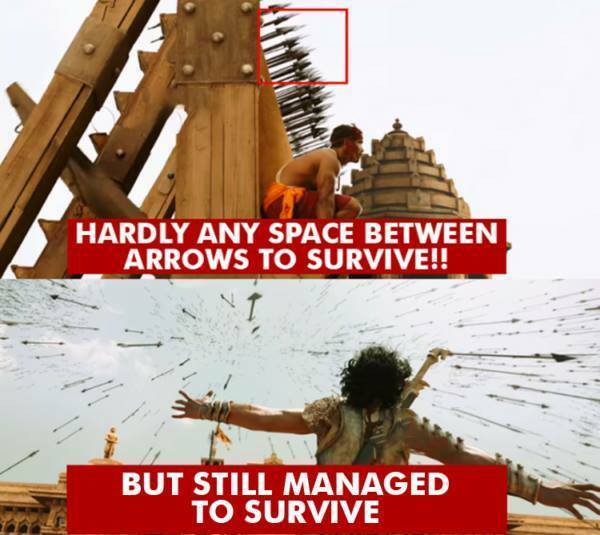 it’s raining arrows, but still, Bahubali manages to survive. This is just IMPOSSIBLE! Not even one arrow dared to come closer. Probably, the luckiest man on the planet. 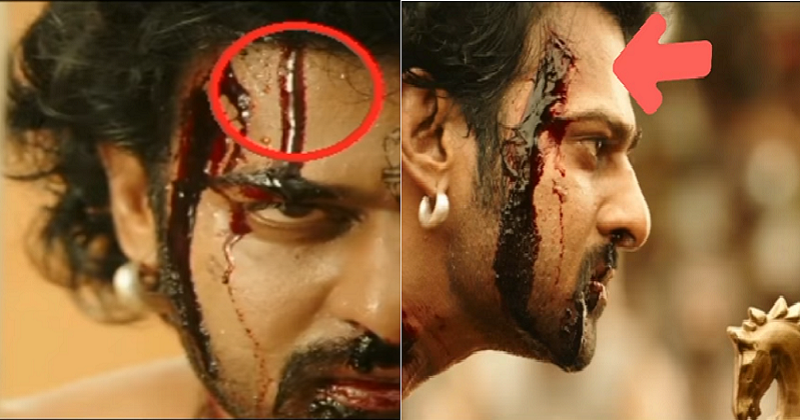 In the climax fight, Baahubali has a wound above his right eye on the forehead. Well, in the next sequence the wound goes missing and his forehead is clean without even a spot of blood, while in the previous scene we can see a blood line. 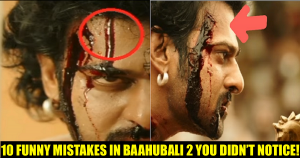 The mistakes in Baahubali 2 started from their posters. This is a complete mess of graphics. Watch closely who is holding the whose arrow. 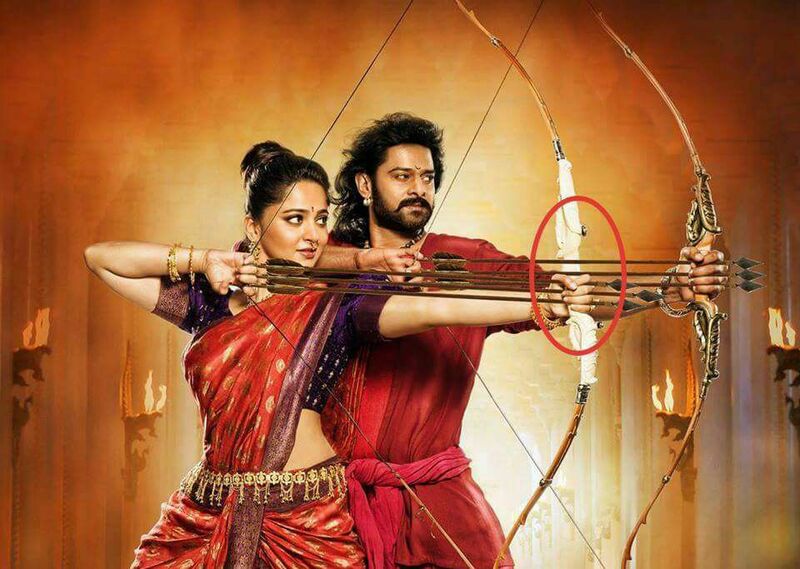 It’s a common thing that we can find some or the other mistakes in all films but Bahubali film was so damn perfect, that we had to literally rack our brains to find some nonsense mistakes in the same. We know you will abuse us for the errors that we pointed, but sadly, the film doesn’t have any technical or logical mistake. What do you say about this? Did you notice any mistake other than these? Let us know if anything more in your context in the comments section below. Also Read: 10 Surprising Facts About South Beauty Anushka Shetty Who Played The Role Of “Devasena” In Baahubali 2!